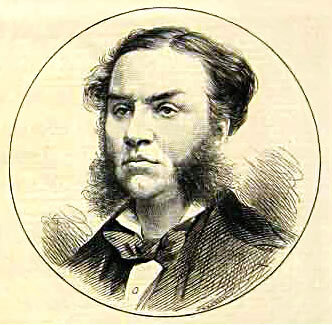 John Henry Puleston was elected MP for Devonport in 1874 and remained so until 1892. He was knighted in 1887. His image together with the first article below was published in the Illustrated London News 1st August 1874. As a young man Puleston went to America and opened a successful medical practice in New York. He began to have an interest in politics at this stage and whilst in New York became involved with the Republican Party. He appeared to be successful at everything he attempted, as he then took a career as a journalist, becoming editor of several newspapers including the Phoenixville Guardian (but he apparently left this town with debts behind him). A few years after becoming Devonport's MP, Puleston returned to America and repaid all his previous debts. However, he probably got into more debt during this period since he eventually died a bankrupt.